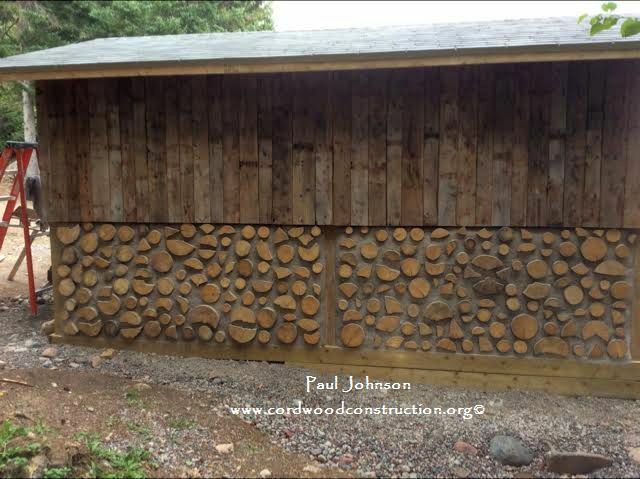 Paul & Josephine Johnson enjoyed the labor intensiveness of building a Cordwood Ladder Pad Shed in Newfoundland, Canada. 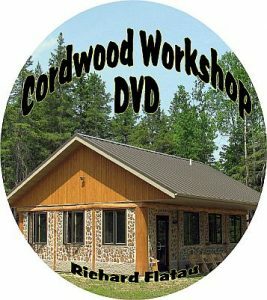 The Johnson’s used Richard Flatau’s Cordwood Shed Plans (details at the end of the article) to build a simple, inexpensive framework. 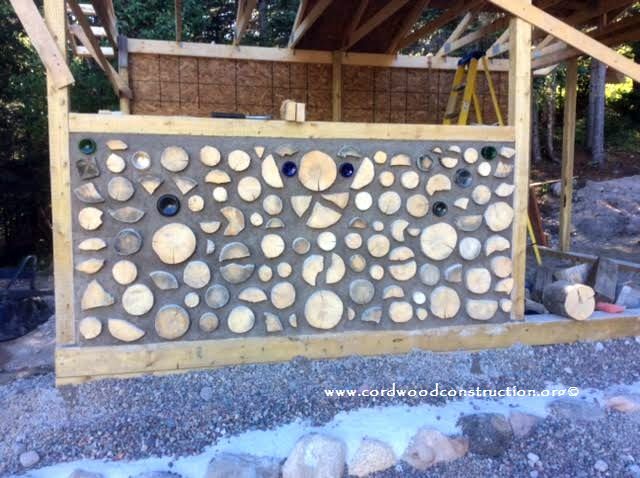 Then they mortared the cordwood infill into the wall sections. On certain areas, they used 60-year barn boards for vertical siding. Below is the article that appeared in the newspaper. 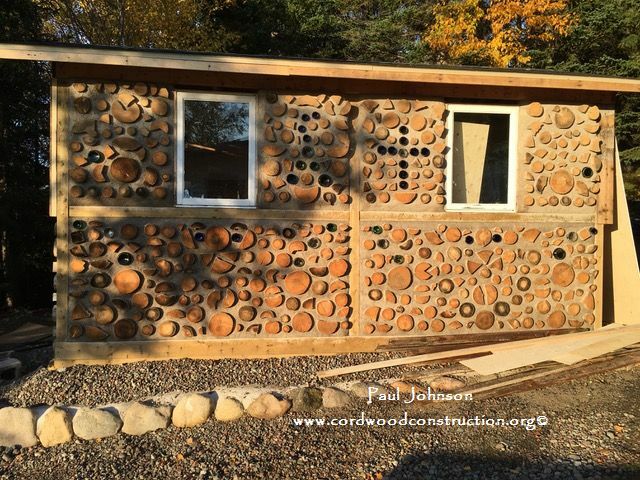 “When Paul Johnson first heard of the construction method from a friend it became a curiosity. He was curious enough, in fact, to turn it into a handyman project that, despite the challenges, brought a sense of accomplishment. 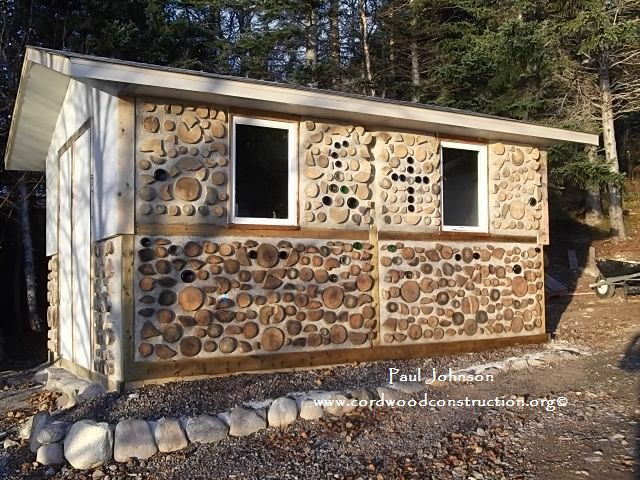 Cordwood construction consists of placing “log ends” into a wall within a mix of mortar. The method has been used on both sides of the Atlantic for hundreds of years. Johnson, a Grand Falls-resident, studied a little on the subject and decided to try his hand at it his “home away from home” in Rattling Brook, Green Bay. “You can only use softwood so I cut some and thought, well, if I didn’t want to do it I can burn the wood anyway,” he told TC Media. Note the ladder pad, post framework above. 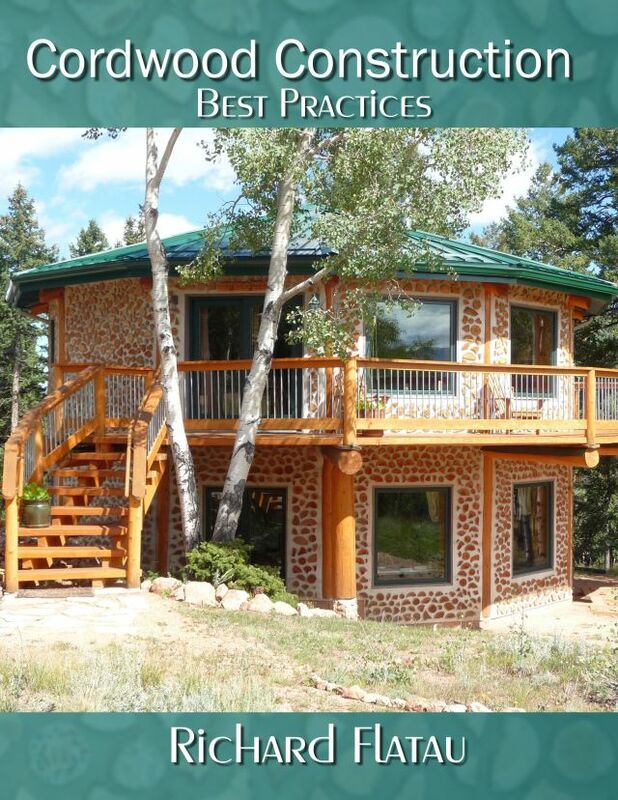 The framework breaks the work up into manageable sections. With admittedly more vigour than knowledge, he set about the task, which included the sinking of posts below the frost line to support to the pole barn structure he envisioned. That design called for seven holes. Anyone who has worked the ground in Newfoundland knows that, in many areas, digging postholes can be a challenge as rocks abound. Such is the case in Rattling Brook and before long he realized how labour intensive the task ahead was going to be.And that was before he and his construction partner and spouse, Josephine, actually began the wall construction and learned just how long the job would take. There isn’t an ounce of regret over the physical toiling. In fact, he’s glad the project got his attention because it ended up “filling a gap” for him while he was unable to work due to a medical issue. He does wish he’d realized what others had. “Most people start with a kennel, or at least something small,” he joked. With his wife’s artistic eye adding to the flare and presentation, the couple worked some bottles into the design for effect and plugged away for five months to complete the project. While his wife brought the artistic flair, Johnson did have a design vision that came to life. He wanted to incorporate some rustic looking barn wood and found the right touch – in an old building on the Jigg’s Farm property near Botwood. With permission, he gathered some of the board and worked it into the construction. 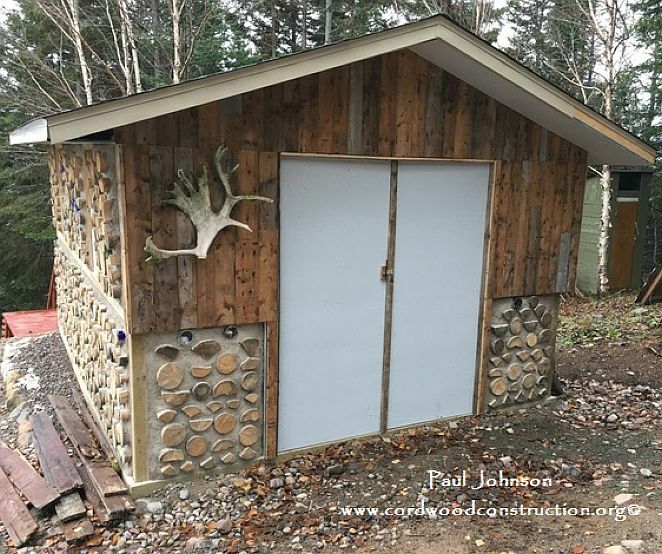 Undaunted (but a lot wiser in the ways of cordwood construction) Johnson is even considering another project. One distinct possibility is a gazebo to act as an art studio for his wife. It’s fitting that he’d want to put that effort into something for his spouse since the Rattling Brook property was an anniversary gift of hers to him. After coming to Canada from England in 1967, Johnson had bounced around the country between Ontario and Nova Scotia and Alberta and, of course, Newfoundland.“I said I’d come for one year and if I didn’t like it, I’m out of here,” he joked. In fact, he did leave again but decided to come back in 1996 and settled in central Newfoundland. “I wouldn’t live anywhere else,” he says of his adopted province. 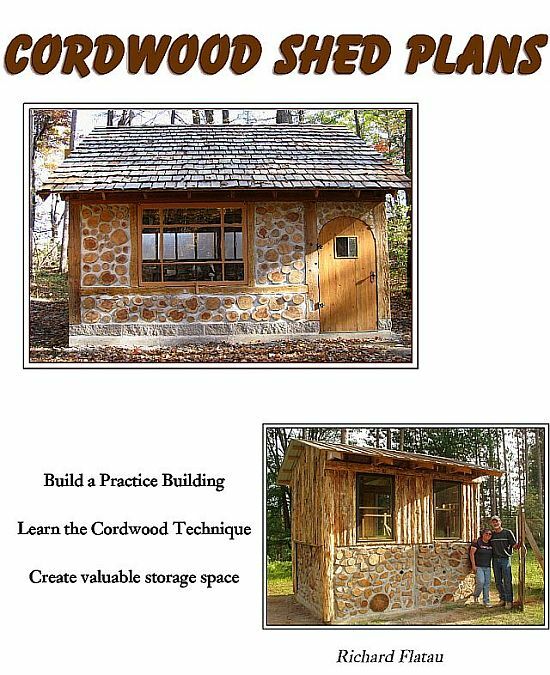 The booklet Cordwood Shed Plans is available as an ebook. 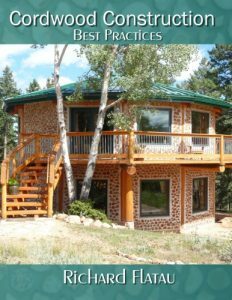 It contains 30 pages, chock full of color photos about how to build the inexpensive and functional ladder pad system that provides both framework and support for the cordwood infill, without having to pour a footer. Cordwood Shed Plans is available at the Online Cordwood Bookstore.